No universally accepted conceptual definition of interests has emerged in vocational psychology. As a result, interests often are defined as what an assessment measures. At the most basic level, operational definitions of interests commonly focus on an individual’s constellation or pattern of likes and dislikes for vocational, academic, and leisure activities, as well as for types of occupations, settings, and people. Donald Super organized these operational definitions into four methodological categories: expressed interests, manifest or evidenced interests, tested interests, and inventoried interests. Frank Parsons, an early career specialist, introduced a parsimonious framework in his widely known book Choosing a Vocation that provided an impetus for the measurement of interests. Parsons (1909) argued that individuals seeking to choose a line of work should engage in a rigorous process of self-study during which they consider how their “capacities, interests, resources, and limitations, and their causes” (p. 5) might best fit with the attributes of certain occupations. Parsons intended this process of self-study to occur with the aid of a counselor, and he offered a variety of innovative methods for counselors to assess a client’s personal characteristics. Among these methods, Parsons presented a questionnaire that asked respondents to simply identify and write down their interests as well as the nature of those interests. According to Super’s classification system, Parsons’s questionnaire elicited expressed interests. In other words, expressed interests are those that an individual is able to articulate via introspection without the assistance of a list of options. For example, in response to the question, “What do you want to do when you grow up?” one could state an occupation (e.g., medical doctor) or an activity (e.g., care for others). Expressed interests are highly subjective in nature and tend not to be limited to certain content areas or levels of specificity. Furthermore, expressed interests reflect how an individual perceives his or her interests rather than provide an objective and complete picture of his or her interests. A more objective method of assessing interests, also proposed by Parsons, involved asking clients to report how they spend their time, particularly outside of work. For instance, if an individual spends his or her evenings reading novels and writing poetry, then these behaviors may indicate an interest in literature or the humanities. These manifest or evidenced interests have been described as those measured by observing or examining an individual’s participation in activities. The most objective form of manifest interests involves direct observations of an individual’s behavior over time, whereas the most subjective form involves an individual’s self-reported activities. In addition to reporting how one has previously spent his or her time, Parsons (1909) further suggested that individuals, particularly young individuals with little breadth of experience, should attempt to gather a variety of experiences to bring their “true interests and aptitudes into clear relief” (p. 12). This effort to accumulate a variety of work experiences with the intention of identifying one’s interests was later known as try out activities. As Parsons and others have suggested, try outs are based on the hypothesis that experience allows latent interests to emerge into an individual’s awareness. In yet another method of assessment, Parsons suggested that individuals should attempt to compare their memory of the content of certain lectures, plays, or books to that of other individuals such as friends and family. Implicitly, Parsons proposed that an examination of one’s memory or knowledge of certain subject matter may indicate personal characteristics such as one’s interests in certain subject matter or activities. 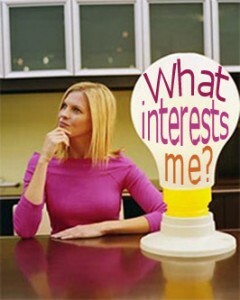 Interests measured by an individual’s knowledge of particular areas have since been classified as tested interests. Much of the research on tested interests is based on the notion that one’s interests have a positive influence on learning. For example, if an individual has a strong interest in psychology, then he or she is more likely to give more attention to psychological subject matter than other academic subjects and as a result accumulate more knowledge of psychology. That is, interests are thought to influence learning by way of attention. In recent years, researchers have studied domain-specific knowledge, which includes tested interests, as a way to conceptualize knowledge that one accumulates over time as a result of one’s constellation of interests, personality characteristics, and abilities. In the 1920s, checklists and rating scales emerged as methods of measuring interests using surveys. Whereas checklists simply ask respondents to examine a list of activities and indicate those in which they have an interest in participating, rating scales ask respondents to rate the intensity or level of their interest for various activities. Checklists and rating scales evolved into what now are known as interest inventories. Interest inventories ask respondents to report their likes and dislikes according to a list of activities, school subjects, and occupations, and then the individual’s pattern of likes and dislikes is aggregated into interest scales. Accordingly, inventoried interests have been defined as an individual’s normative level of interest in a particular content area. Inventories, and thus operational definitions of interests, became increasingly sophisticated as new methods of measurement were introduced. The four most frequently used methods of scale construction include the empirical method of contrast groups, clustering techniques, rational methods, and sequential methods. The empirical or criterion keying method of scale construction, developed by Edward Kellogg Strong, Jr. in 1927, involves contrasting interests of certain groups of individuals to determine preferences that predict group membership. In other words, criterion-keyed scales indicate how consistent or similar one’s likes and dislikes are to those of a particular group of individuals. Commonly used to measure interests of occupations, items (i.e., survey questions) that predict occupational group membership are aggregated to produce a single score. For example, an occupational scale constructed to measure the interests of psychologists would indicate the level of similarity between an individual’s pattern of likes and dislikes and the likes and dislikes of psychologists in general. Clustering methods of scale construction involve a statistical technique, such as factor analysis, that determines factors or dimensions underlying a group of items. In other words, preferences that can be explained by a certain factor or dimension are aggregated to generate a single scale score. Often, scales determined using a clustering method represent a homogeneous category of activities (e.g., mechanical) and are referred to as basic interest scales. The rational method of scale development entails simply grouping items in accordance with a theory or rationale; thus, this method of scale construction is not empirical in nature. Proposing that interests can be described by six general types (Realistic, Investigative, Artistic, Social, Enterprising, and Conventional), John Holland’s widely known and empirically supported typology is an example of a theoretical model that has served as a basis for the construction of rational interest scales. Interest scales also have been developed using the sequential techniques, which are a combination of construction methods. For instance, the General Occupational Themes of the Strong Interest Inventory (Strong) and the Orientation Scales of the Campbell Interest and Skill Survey (CISS) were developed using Holland’s typology to initially select items and then using empirical data and clustering methods to finalize the scales. The costs and benefits of the different modes of interest measurement tend to determine usage in research and applied settings. 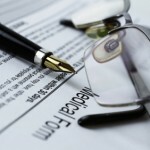 Interest inventories are arguably the most common form of interest assessment. Because there is little monetary or temporal cost for measuring expressed interests, career counselors often assess clients’ expressed interests as part of an intervention. Due to the high cost of paying observers, interests are rarely, if ever, measured in research or practice via direct observation. More commonly, manifest interests are elicited in practice through discussion concerning current and past vocational and leisure activities. Interest inventories, which offer objective, comprehensive, quantitative, and convenient measures of interests, are considered to be a comparatively cost-effective method of assessment. The Strong, CISS, Kuder Occupational Interest Survey, and Career Assessment Inventory are commonly used inventories that include general, basic, and occupational interest scales that provide a multi-faceted profile of a respondent’s interests. The Self-Directed Search also is a commonly used inventory that can be self-administered, self-scored, and self-interpreted. Other interest inventories include the Career Occupational Preference System Interest Inventory, Jackson Vocational Interest Survey, Unisex Edition of the ACT Interest Inventory, and Vocational Interest Inventory. Hansen, J. C. (1984). The measurement of vocational interests: Issues and future directions. In S. D. Brown & R. W. Lent (Eds. ), Handbook of counseling psychology (pp. 99-136). New York: Wiley. Super, D. (1949). Appraising vocational fitness by means of psychological tests. New York: Harper. Super, D. (1957). Psychology of careers. New York: Harper. Walsh, W. B., & Betz, N. E. (1995). Tests and assessment (3rd ed.). Upper Saddle River, NJ: Prentice Hall.